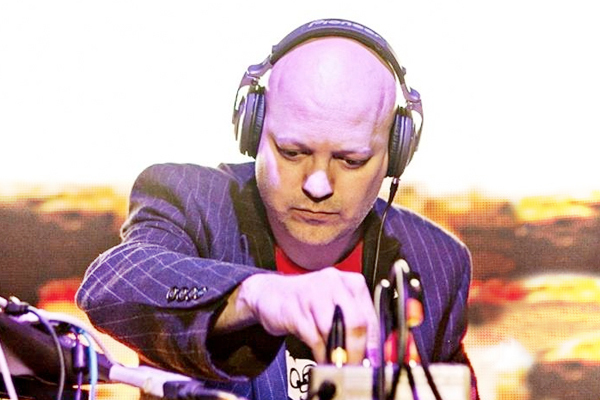 Christopher is the founder and creative director of media arts studio The Light Surgeons. His work crosses a range of different media and manifests itself in various forms. He has produced and directed animation and motion graphics work for broadcast and several award winning short films that have toured to film festivals worldwide. He leads a team that has created a series of permanent installation projects for national museums and ground breaking interactive experiences for commercial clients. 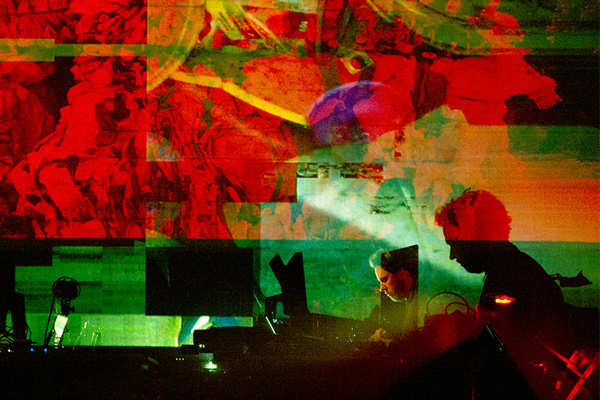 Through his work at The Light Surgeons over the last 20 years he has helped to pioneer the practice of “live cinema” with a collection of critically acclaimed, feature length audio-visual performances that have toured to film and music festivals internationally. 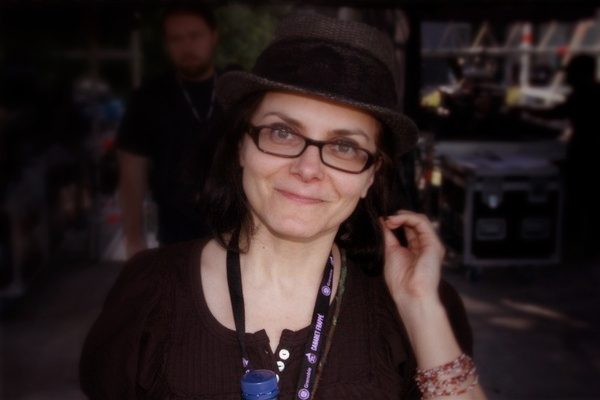 Francoise has been managing artists Addictive TV for the last decade and has been curating and producing events for the last 20 years. From working as digital A&R for Palm Pictures to being programme partner for digital arts centre Le Cube in Paris. She also founded the visual music festival Optronica with the BFI and over the years has curated work for Sonar in Barcelona, the Pompidou Centre in Paris and the Creative & Design Awards in London. In the early 2000’s, with Addictive TV, she ran ‘The AV Lounge’ in London’s Shoreditch for five years, a monthly gathering of visual artists, VJs and filmmakers. She produced the AV duo’s latest project ‘Orchestra of Samples’ and is also working with famed sitar master Baluji Shrivastav OBE on his latest show Antardrishti, an Unlimited commission for the Southbank Centre. Former television producer turned artist, Graham is one half of audio/video artist duo Addictive TV. Over the last 20 years he’s produced the ITV1 series Mixmasters commissioning over 300 DJs, VJs and motion graphics artists, founded and organised the visual music festival Optronica with the British Film Institute, has worked with several Hollywood studios remixing films as alternative trailers (Iron Man, Fast & Furious and others) and was twice voted #1 VJ in the World in DJ Mag alongside the Top 100 DJs. Addictive TV have performed in over 50 countries in venues from the Centro Nacional de las Artes in Mexico City to the Museum of Contemporary Arts in Shanghai. Their current AV project ‘Orchestra of Samples’ is supported by Arts Council England and Canal93 in France. 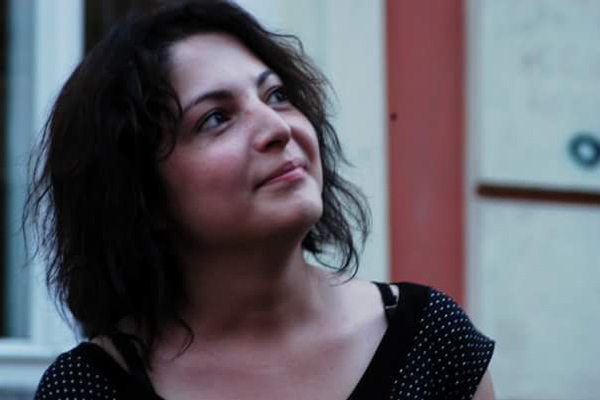 Jelica is a freelance producer with 10 years of experience in managing events, developing cross-disciplinary artists communities, and general management in independent art organisations. She was the general manager of East London art space Apiary Studios between 2013 and 2016 where she was actively supporting the experimental sound and visual arts scenes in London along with ‘underground’ arts organisations and several up-and-coming UK and international artists themselves. Jelica’s currently involved in the development of Stour Space, a social enterprise supporting the creative community and cultural projects in East London’s Hackney Wick area and is one of the core team members of Unconscious Archives Festival and Third Mind Productions. Pete is a visual artist and designer with a degree in Digital Art. He is co-founder of MoreEyes production studio and director of graphic design company Elastic Eye. Over the past 15 years he has performed at some of the UK’s most prestigious venues including the Southbank Centre and The Roundhouse. He has created custom video content for international musicians and performed at major music festivals including residencies for Glastonbury’s late night area Shangri-La and Wilderness Festival, performing with a 40-piece orchestra. 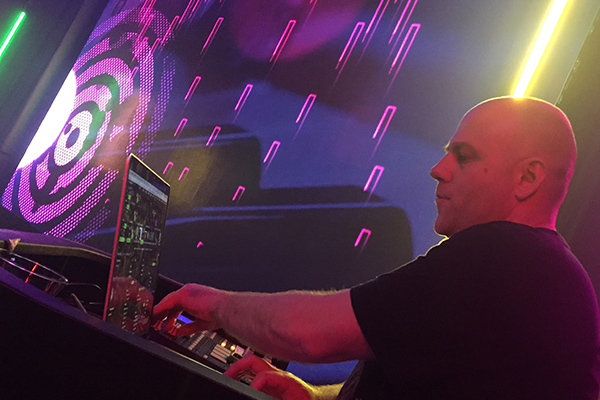 He has experience running AV events, teaching workshops in VJing and projection mapping. Currently working as visual tech for AV band Public Service Broadcasting touring the UK.